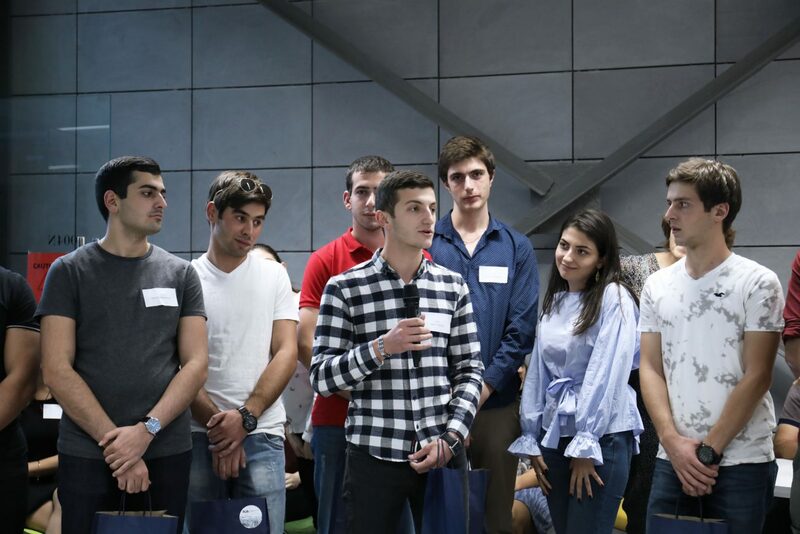 YEREVAN, Armenia ‒ On September 20, 2018, the American University of Armenia (AUA) held its traditional celebration of the return from military service of 32 AUA students. 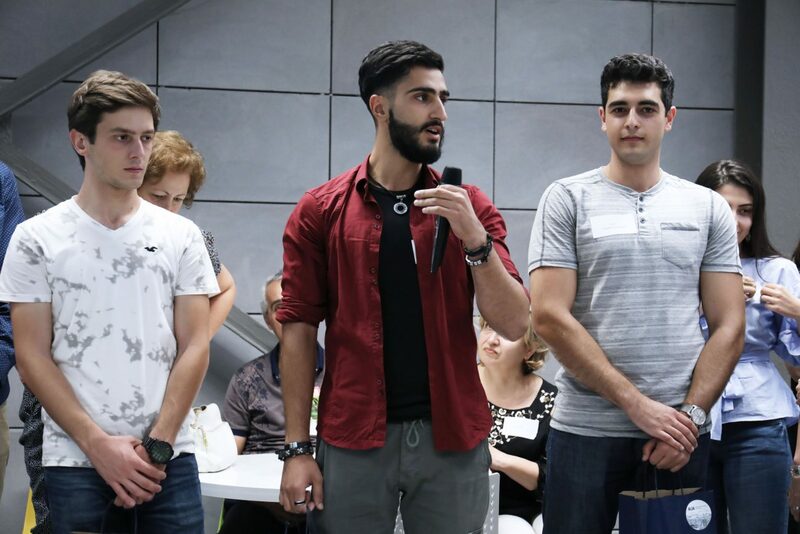 Among the invitees to this happy gathering were the parents and other family members of the returning soldiers. 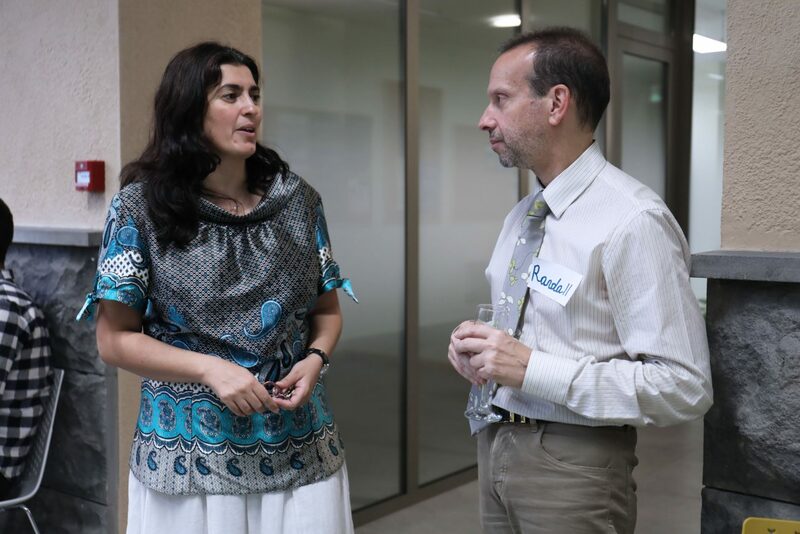 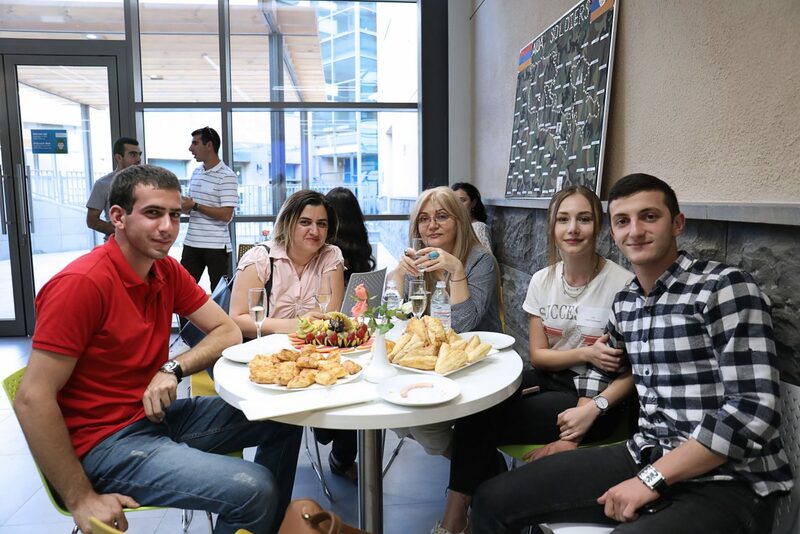 This was the first event held in the newly constructed AUA Student Union in the Paramaz Avedisian Building. 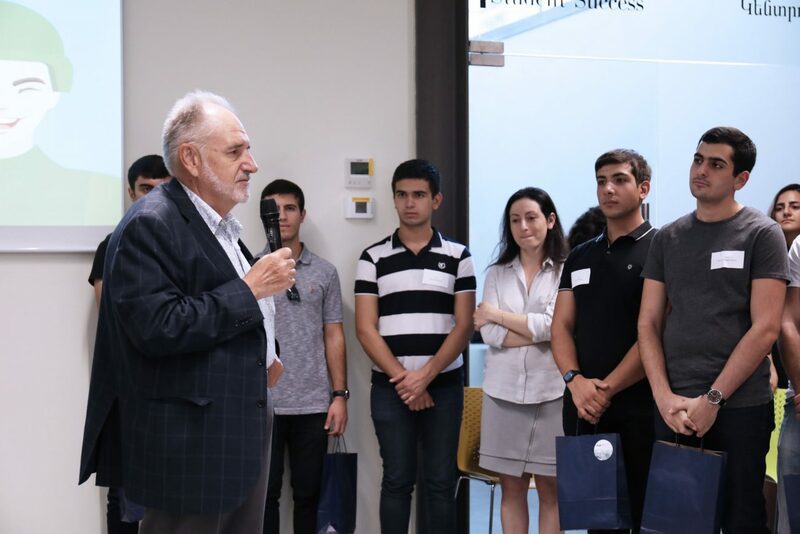 In his uplifting remarks, AUA President Dr. Armen Der Kiureghian warmly welcomed the students back to AUA applauding their safe return from military service. 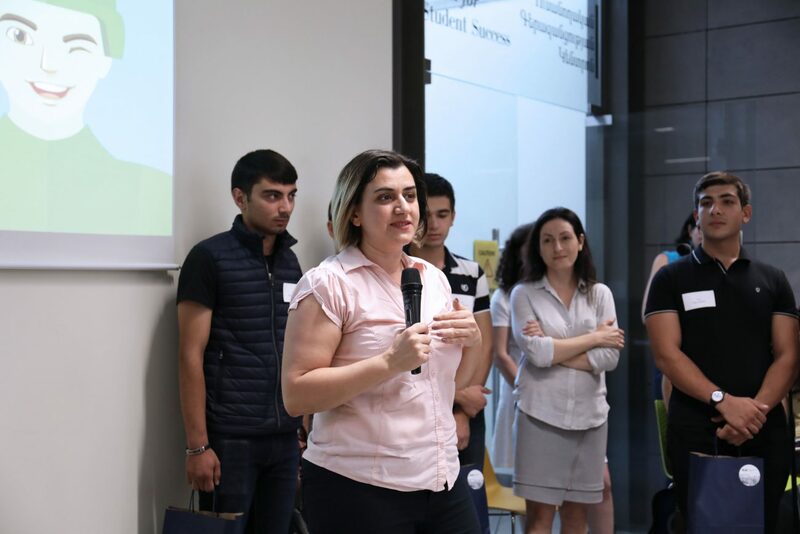 Noting the importance of succeeding in their university education, he encouraged them to seek help whenever they needed from coursemates, professors, college deans, and the Center for Student Success. 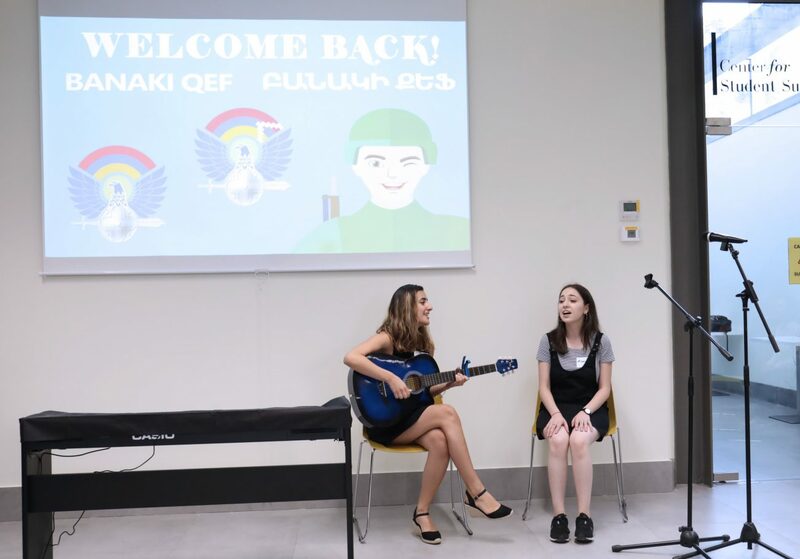 A heartwarming surprise slideshow followed, assembled by Aida Amadanyan (BAB ‘20) streaming photos of the students from their time in military service. 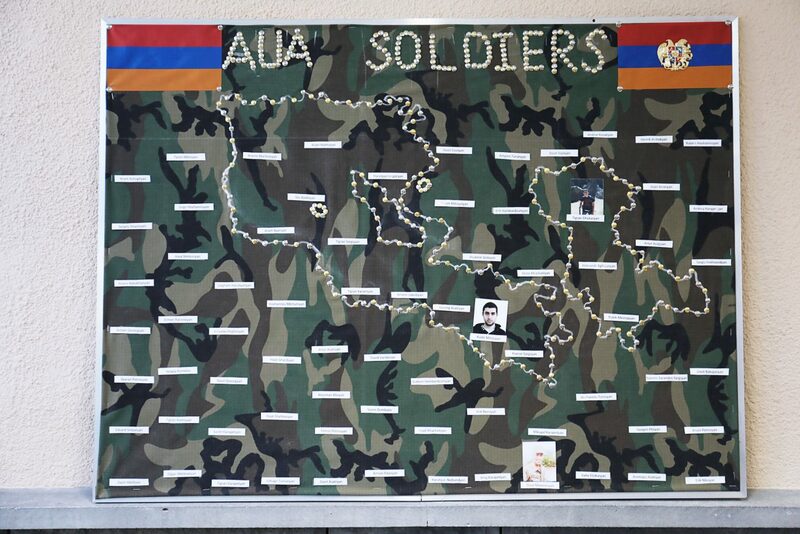 A brief narrative about each returning soldier accompanied the slideshow and was presented by AUA Registrar Chaghig Arzrouni-Chahinian. 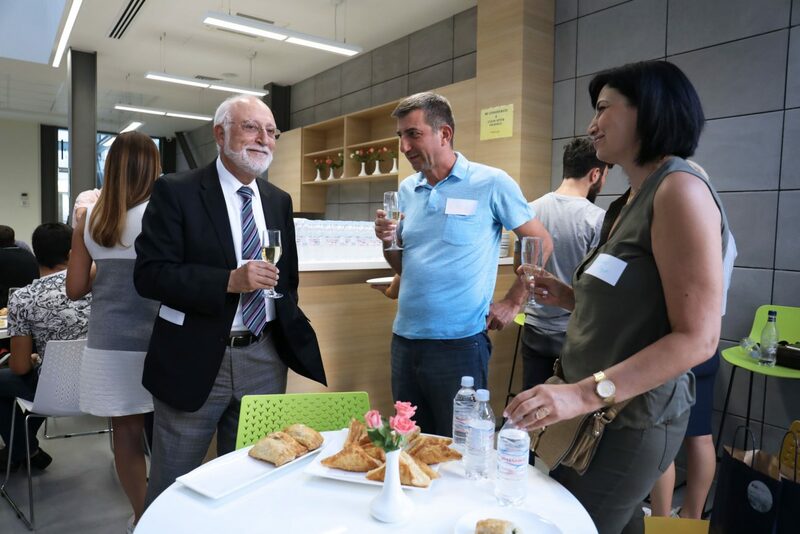 In turn, Program chairs warmly welcomed and cheered for their respective returning students. 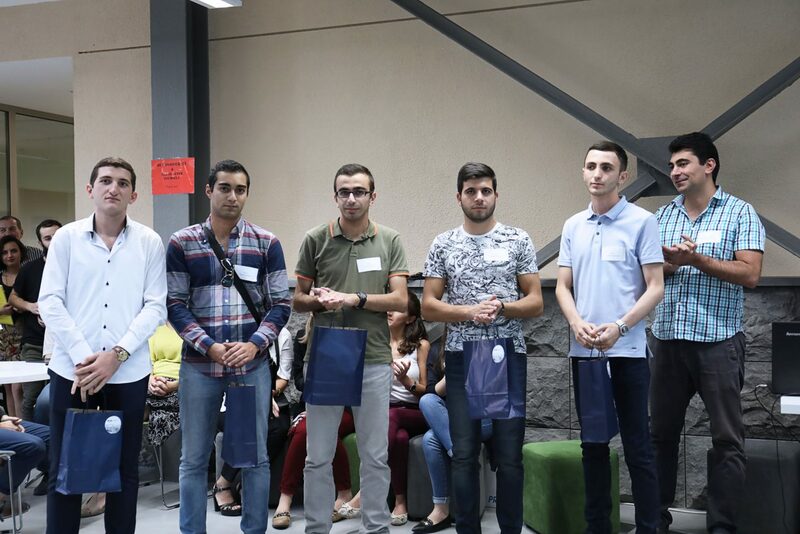 “On behalf of all the parents, I’d like to express our sincere thanks to the American University of Armenia. 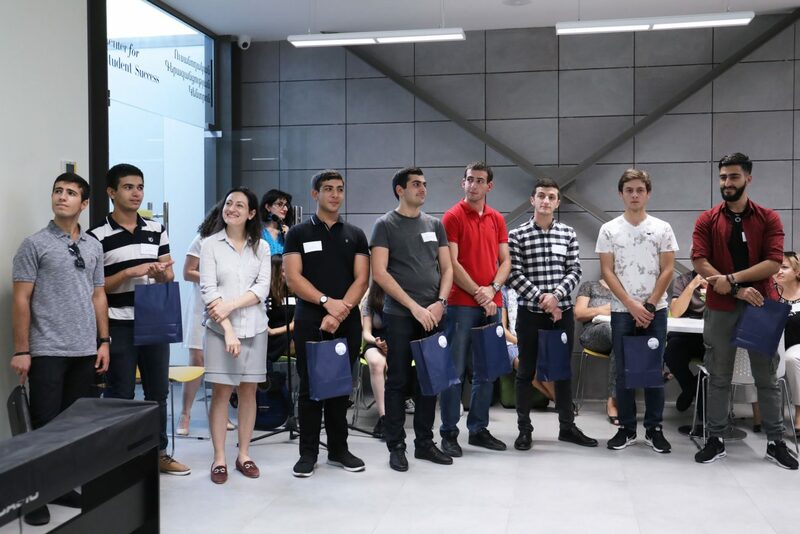 During the two years that my son was in military service, the University helped us solve major and minor problems related to our children’s education. 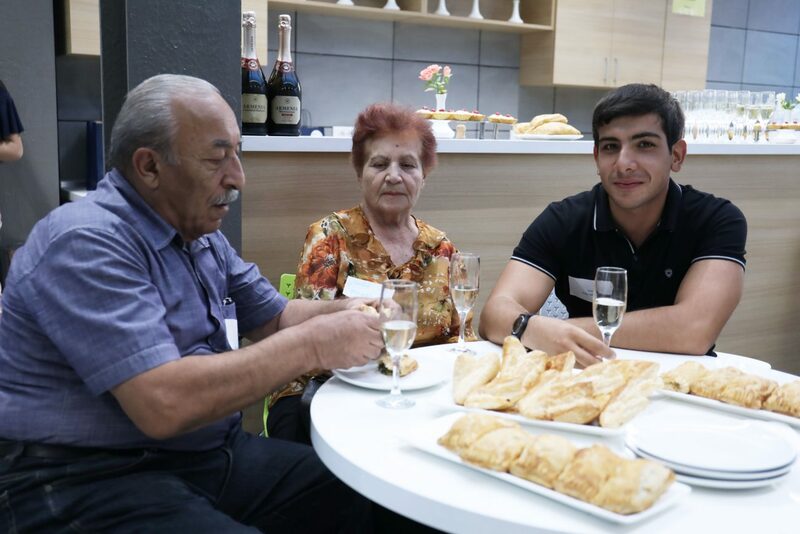 Also, thank you for sending us holiday cards and always remembering us,” said Anush Arakelyan, the mother of Razmik Khachatryan (BAB ‘20). 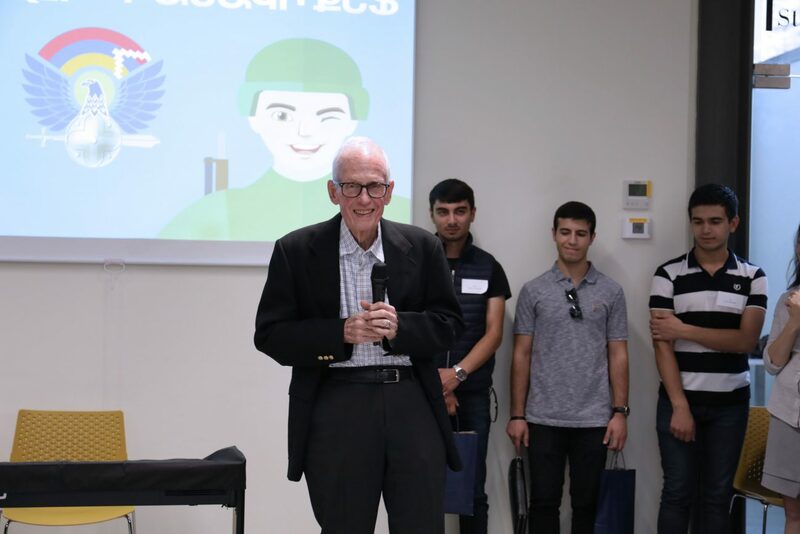 Seizing the moment, AUA Senior Professor Donald Fuller, Professor Gregory Areshian, and adjunct lecturer Gagik Gabrielyan commended the returning soldiers for their service and embraced their return to AUA. 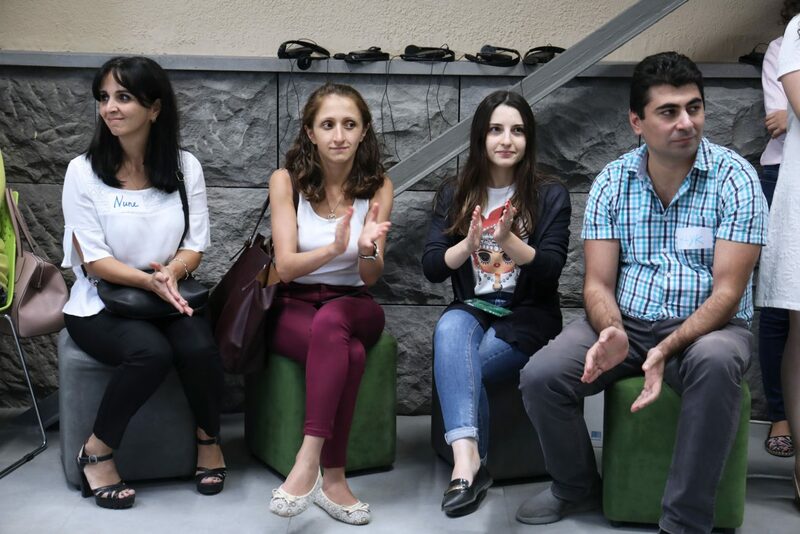 “You are privileged to have served for the Republic of Armenia. 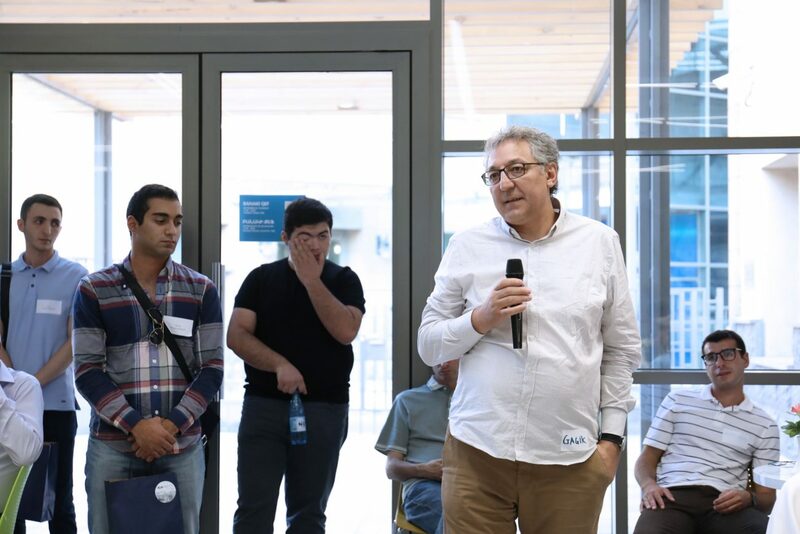 I did not have that chance,” noted Professor Areshian wishing the students a bright and rewarding future. 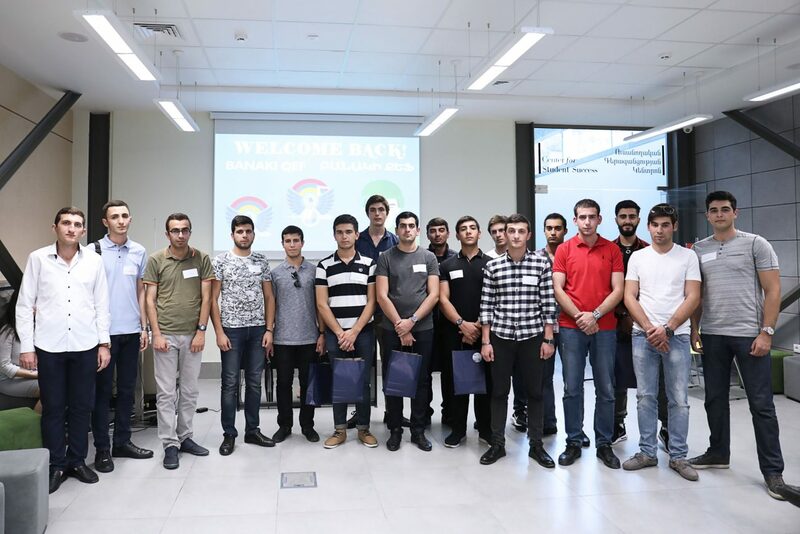 One of the returning soldiers, Rafayel Ghazaryan (BAB ‘21) wished peace to all the soldiers currently serving in the army, especially those serving at the border. 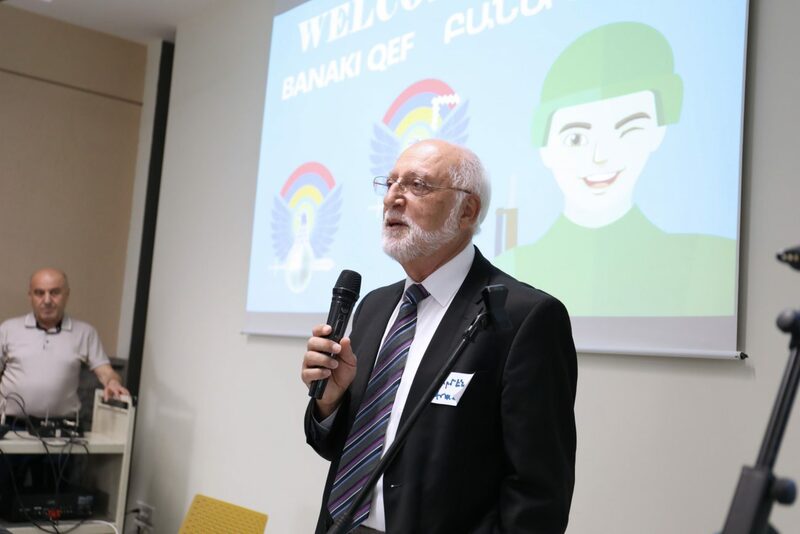 “I hope they will have a satisfying experience and make the best of their military service,” he said. 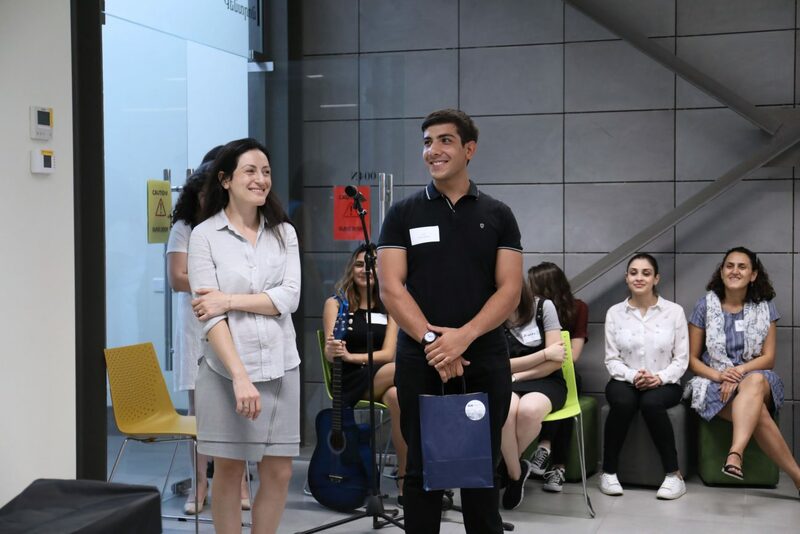 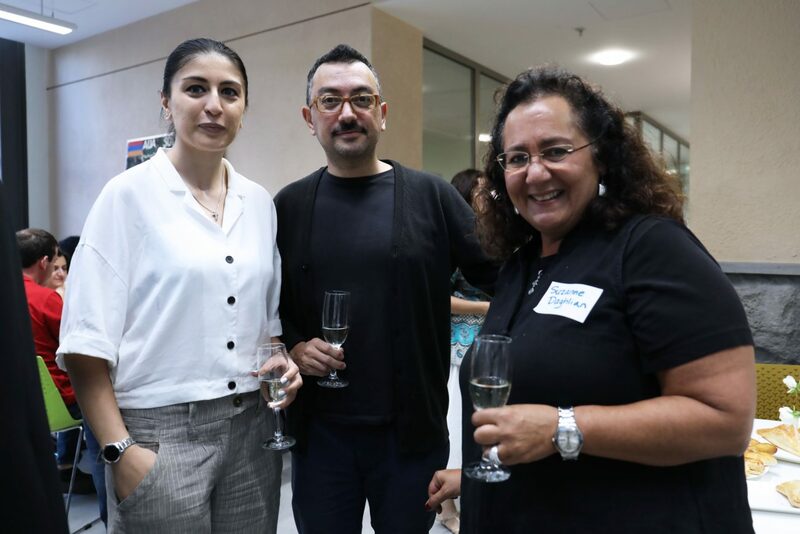 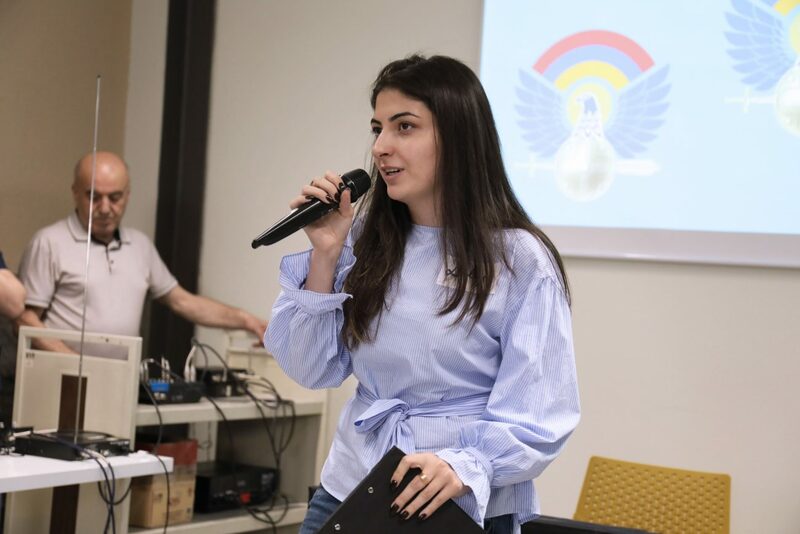 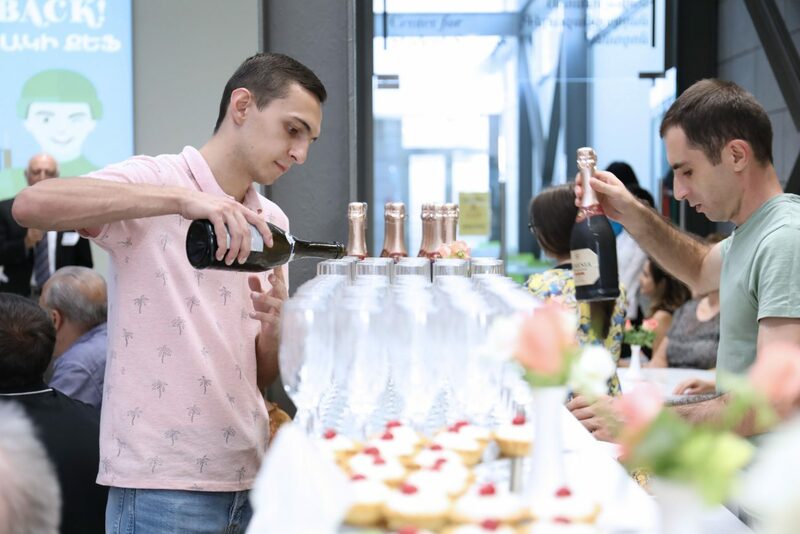 “When you learn of other AUA students at the base where you’re serving, you quickly make friends with them even if you haven’t known them before,” noted Vahe Hakhinyan (BAB ‘20). 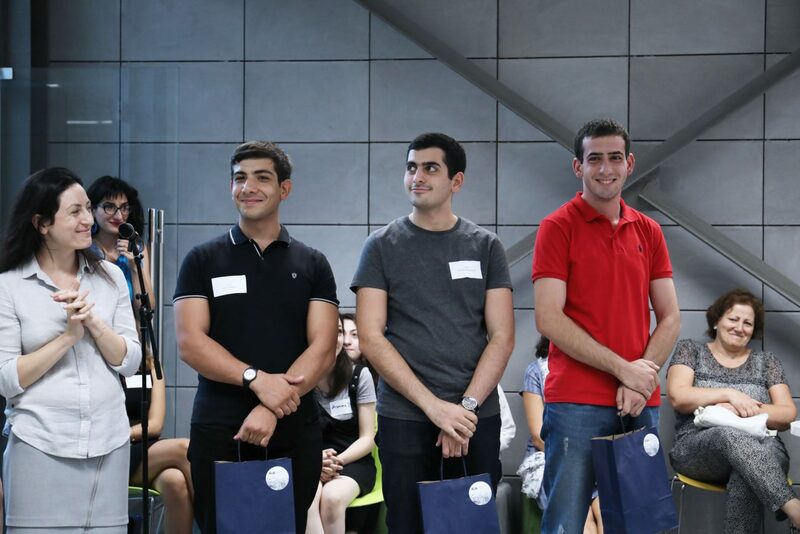 He commended the invaluable and lasting network created by AUA students in military service. 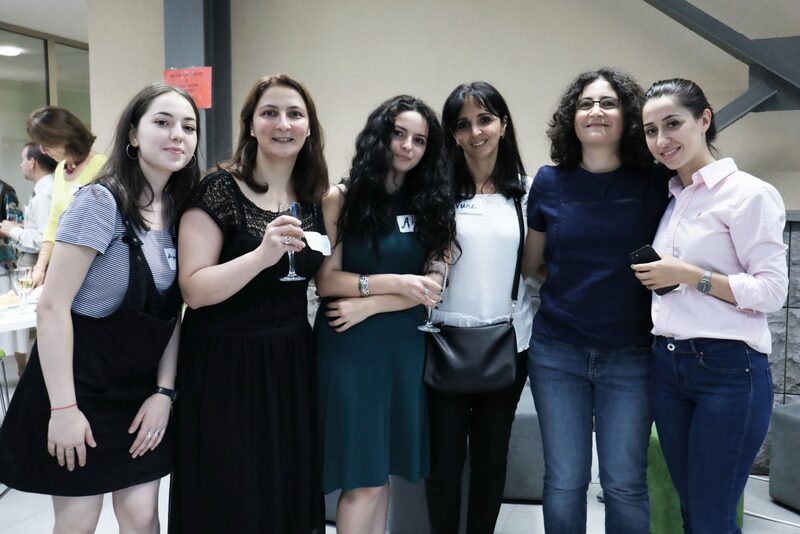 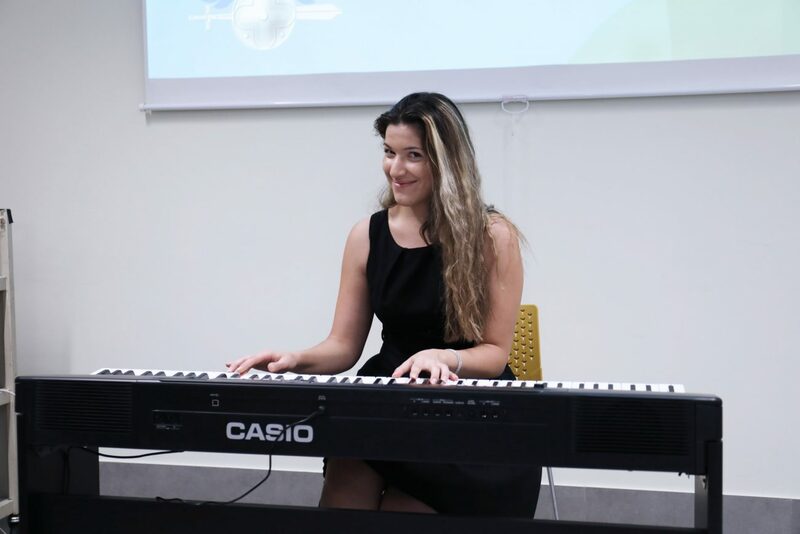 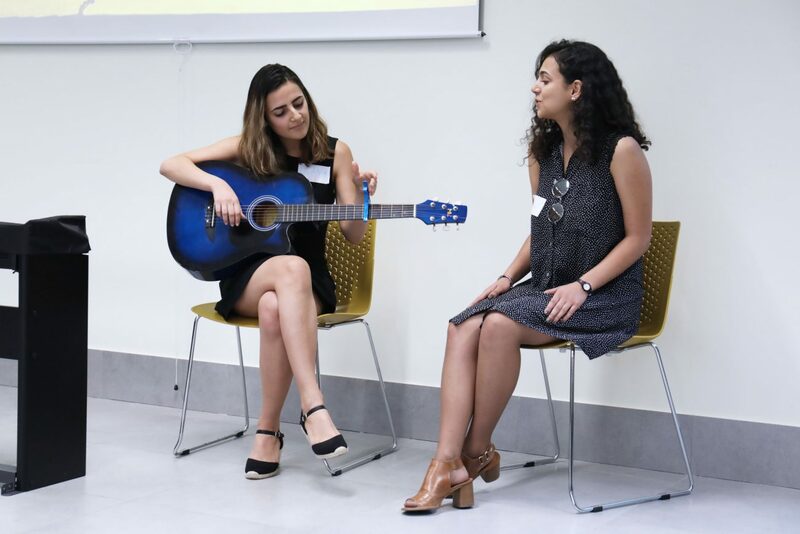 The reception continued with musical renditions by AUA students Sona Karganyan (BAB ‘19), Luiza Vardanyan (E&C ‘19), Diana Harutyunyan (BAB ‘19), Hripsime Murdayan (E&C ‘21), Anna Ispiryan (E&C ‘20), and Lili Sahakyan (BAB ‘20). 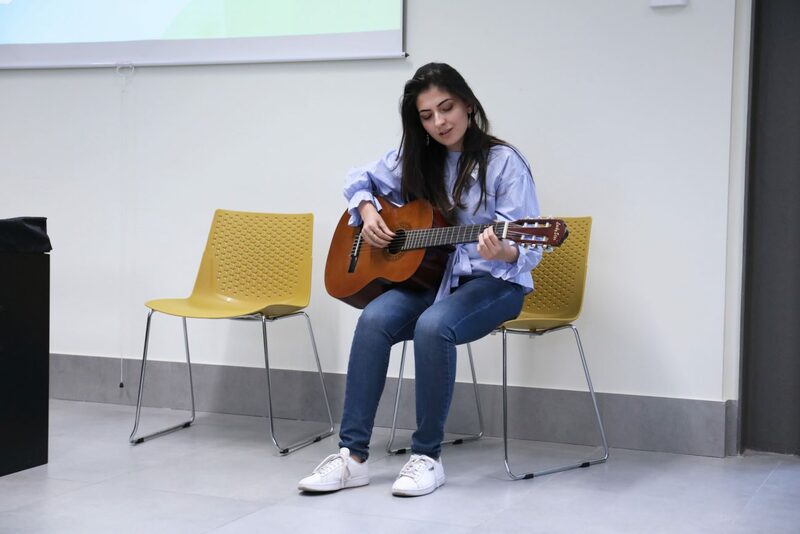 The latter also emceed the event and thrilled the audience with her rendition of a song she wrote for an Armenian soldier. 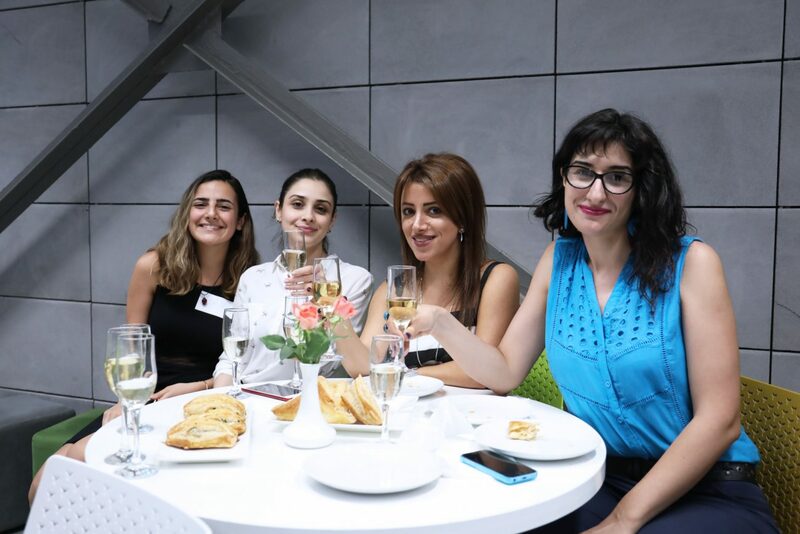 A friendly and joyful atmosphere prevailed throughout the evening.